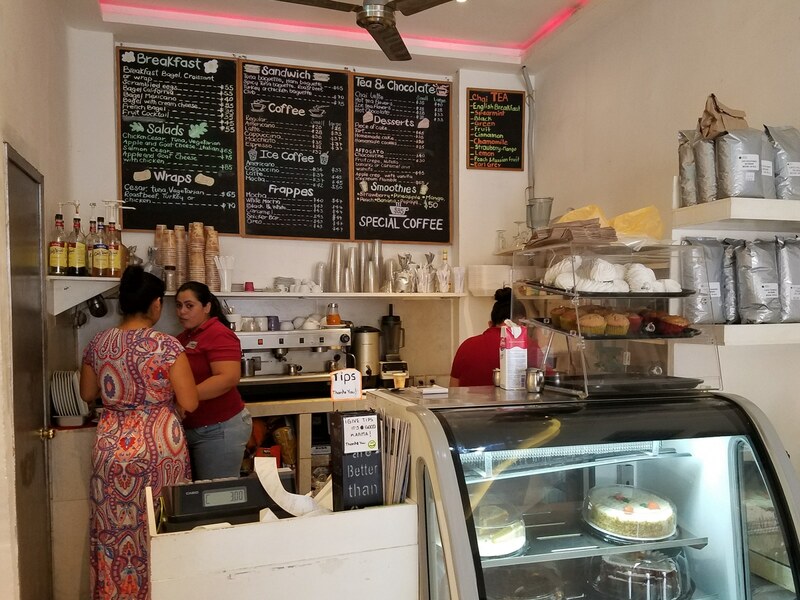 As a coffee connoisseur and fanatic, finding the best coffee during my adventures in Puerto Vallarta, Mexico was quite high on the priority list. The city and surrounding areas had no shortage of coffee to choose from. I wanted to not only explore the coffees available and roasted nearby, but learn about the local coffee culture. First, I want to thank these businesses for their generous sponsorship and making my Puerto Vallarta travel possible. Visit Vallarta – This is a massive resource to all things Puerto Vallarta and the surrounding cities throughout Banderas Bay. A must visit and read for anyone visiting. Beach Crossers – Superb provider of accessibility transportation and equipment. If you use a wheelchair and want to enjoy the pleasures of beach cruising and ocean waves, this is the paradise you’ve been looking for. B Tempo Bikes – Visitors to Nuevo Vallarta seeking to cruise around via bicycle will find all the equipment needed on an hourly basis and some snazzy looking bikes to boot. And most especially, thank you to the numerous cafe owners whom took time out of their incredibly busy day to talk with a coffee nerd. I had an incredible time learning and hearing of the different perspectives from so many different businesses located in the same area, back to back. 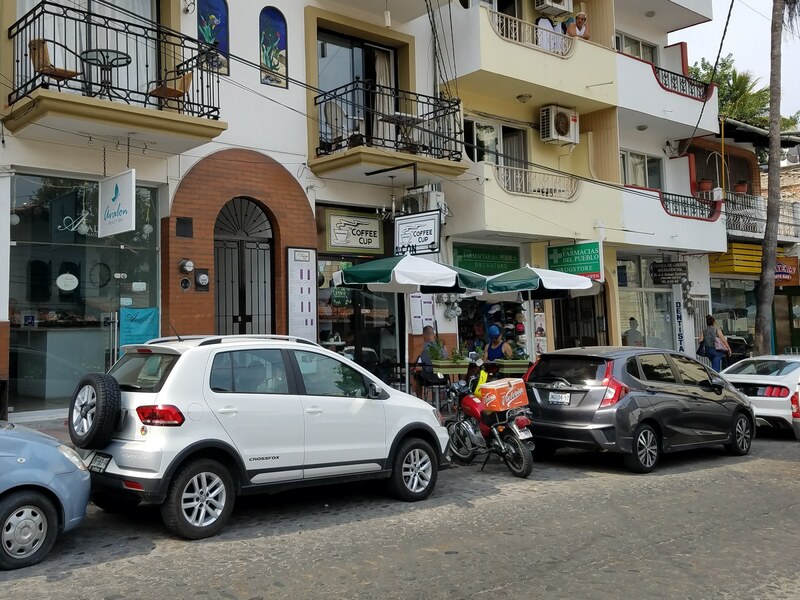 I was strapped down into a wheelchair inside a modified van, hitching a ride into downtown Puerto Vallarta, courtesy of Terrie from Beach Crossers. The wheels jumped and moved with every bump in the road. If you’ve ever driven down Highway 200 which crosses from Nayarit to Jalisco, you know the overpass is fraught with speed bumps, bringing traffic to a cool 10-15 KPH. As careful of a driver as Terrie was, the speed bumps gave my legs and grip a good workout. It was like a free carnival ride – a lot of fun – so I loosened my straps and encouraged a some extra movement. Dropped off at the North end of town at the Hotel Zone and left to my own devices, I had a thirst. A thirst for…you guessed it…coffee. You see, the previous evening, I had lined up a list of cafes to walk to. The plan was to walk from one cafe to the other, drinking coffee at each one, and learn about their respective roasting and coffee sourcing processes. I was able to coordinate a few meetings with some of the owners via Whatsapp and Facebook which helped me pace the coffee intake. In hindsight, visiting so many in the same day wasn’t a very good strategic move – I became pretty jittery very fast. The coffee was good and flowed easy. Walking back and forth through the Malecon, to Centro and Downtown Puerto Vallarta, I’m proud to say I was able to visit every single cafe that was open that day. Starbucks included. Loaded with questions, I made my rounds and kept my mug full. When you order fresh coffee at any of the cafes here, expect to receive a piping hot cup of French Roast prepared as drip coffee. Brewers and baristas alike prefer a dark roast full of expression. Americanos and café con leches run aplenty. While some of the beans are sourced from nearby, a vast majority come from Veracruz and Oaxaca. Every shop and cafe visited was rightfully proud to serve 100% Mexican coffee. First introduced to Mexico in the late 1800’s, Veracruz has a long history of coffee culture. If you’re an American coffee drinker, you’ve had way more Mexican coffee than you realize. Mexico is the largest source of U.S. coffee imports, as well as one of the largest coffee producing countries in the world. Veracruz is home to three distinct climates and elevations which produce their distinct Arabica coffee beans. This is also where the coffee liquor Kahlua is made. Hailing from the southern slopes of the mountain range Sierra Madre de Oaxaca, coffee from Oaxaca is highly regarded as a delicate in body with a dry acidy snap. Grown at a higher altitude, these coffees rival the complexity of Guatemalan sources. Oaxacan coffee is a treat for any American, as these beans are usually sold almost exclusively in Europe. Coffee local to the Puerto Vallarta area generally hails from San Sebastian del Oeste. Originally founded as a mining town in the 1600’s, this small town is amazingly the starting point of Puerto Vallarta’s origins. Puerto Vallarta provided salt for the smelting process inside of San Sebastian’s mines, transported by mule back. While the mines are now closed, the mountain town is the perfect destination for going back in time, where buildings are original to the 1600-1800’s, while the higher altitude provides the perfect growing conditions for spectacular coffee. To drink coffee in Puerto Vallarta which originates from San Sebastian is the ultimate way to pay homage to a rich history of harmonic culture, flora, and fauna. This list of cafes visited in Puerto Vallarta is randomly ordered. Each of these are wonderful locations worth visiting. This small cafe is off the beaten path, requiring a bus or taxi if you are coming from downtown Puerto Vallarta. Dee from Dee’s Coffee insisted I visit this shop and knew I would fall in love with it. Get off the bus at Wal Mart / Sam’s Club then walk down Calle Prisciliano Sánchez a few blocks. Turn right at Océano Pacífico Pte. and look for a red Cafestodo awning at the square. Coffee is sourced from the mountains Southeast of Puerto Vallarta, utilizing a natural process. The coffee farm meets all organic requirements but hasn’t been certified. The coffee is roasted on-site and available for purchase. I took quite a bit back home with me! In addition to Americanos, Cafestodo offers incredible frappuccinos, chai, and ginger lattes. The fraps use only frozen milk and no ice as to not be watered down. Chai is made from scratch using fresh high quality spices. The ginger is pungent and spicy in the best of ways for fellow ginger lovers. Lactose-free and sugar-free versions are available as well. Nestled in a neighborhood behind I was able to meet with the owner of Cafestodo, Marcos, and while my Spanish wasn’t nearly good enough for a deep conversation, Eric, another employee of 4 years, translated and helped in spending a good hour discussing coffee and the people. When Cafestodo first opened, there was not enough money to buy milk. Owners Marcos and Anny had to wait for an order, get paid, then run to the market a block away and buy milk for cream either for the coffee or frappuccinos. This went on for months before there was enough consistent demand for the cafe to be much more sustainable. Now, Marcos is buying 20 boxes of milk each day and three tons of coffee per year. Prices are meant to be as low as possible. Cafestodo’s mission is to provide high quality coffee and fun drinks that everyone can enjoy. The prices of downtown Puerto Vallarta, Starbucks, and other larger shops are too much for what the everyday citizen of Jalisco can afford. Marcos believes every person who wants to enjoy good coffee should be able to. Each ingredient is sourced to be as high quality and fresh as possible. This is not a place where corners are cut. Every time I tried to steer the conversation back to Marcos, his family, and story, he insisted on telling me how important his employees and neighborhood were to him. He wanted to tell me his employees’ stories and what an incredible community the cafe was surrounded by. “We are all students of coffee,” Marcos tells me, as many employees hold their very first jobs with him. Caf-es-toda. Coffee is everything. The name and meaning tugged my heartstrings. Marcos explicitly stated his missions of operating the cafe. Quality of coffee. Service. Price. Make coffee for the people. This truly is coffee for the people. You will not taste coffee roasted and brewed with more heart than this. Dee is a delight of a woman, bright eyed and full of enthusiasm for her coffee. In true homage to Puerto Vallarta, coffee is single origin sourced from a small town near San Sebastian and certified organic. The beans are taken through a washed process before they are roasted on location at the farm. Once at Dee’s, they are brewed into a very strong French Roast Americano. Since the age of 6, Dee has been drinking and making coffee. I was pretty incredulous she would start drinking coffee at such a young age. As the story goes, Dee’s brother was drinking coffee with sugar when she wanted some, as siblings are known for doing. Her mother made Dee a deal – if she could drink coffee without sugar, she could have some. Dee’s been enjoying her coffee black ever since. Born in Calgary, Dee moved to Puerto Vallarta to try something different. After the first few years were spent going to the beach, Having spent time working at Starbucks at a manager and as a caterer, she wanted to open her own coffee shop with home baked goods made using traditional methods. After living in Puerto Vallarta for 10 years, Dee finally decided to make the jump into becoming a coffee shop owner. This is Dee’s other claim to fame – the oh so delicious baked goods. Home made from scratch and freshly baked daily, you will find yourself in heaven with an assortment of muffins, scones, cookies, brownies, and – you know what, I need to stop, I’m already drooling on my keyboard as I reminisce of sitting at the cafe drinking coffee and sampling goods. Dee currently goes through 100 kilograms of flour each week and 3 tons of coffee per year. Located in the Centro Zone, Dee’s is a block up from the Playa Los Muertos Pier. Serendipitously, the coffee shop is on one of my favorite streets in Puerto Vallarta – the middle of the street has numerous mosaic benches with loving messages, tributes, and ar to sit back and enjoy life in paradise with coffee in one hand and a pastry in another. I arrived at Cafe del Mar a bit early for our meeting. I grabbed a table outside and saw the owner, Mario, at another table deep in conversation with another person. I received a quick acknowledgement, an apology, and said he would be done soon. I took in the environment and reflected on my previous coffee meetings. As the minutes ticked by, customer after customer walked by Mario, greeting him with countless hellos. You could see the sheer enjoyment of interaction between customer and owner. Part cafe and part art gallery, Cafe del Mar’s name pays tribute to the french music group with a similar name. Upon opening, the idea was to encourage customers to come by and listen to music. Shortly thereafter, art was brought into the mix in the form of pottery from Guadalajara and paintings from a friend in Spain. This was coffee steeped heavily in culture. Mario fondly refers to his business as a hobby. Born in Puerto Vallarta, Mario majored in Oceanology and served as a master environmental engineer. This comes into play as Mario is extraordinarily conscious about how the coffee is grown and roasted. However, Mario didn’t jump immediately into the coffee business. He originally got his start in the food industry as a sushi restaurant owner. During the process of running a restaurant, Mario found his true passion was spending time with customers. A restaurant didn’t allow nearly enough time to cater to this kind of socializing. Thus, a Cafe del Mar was born. The coffee beans are a blend sourced from Chiapas, Veracruz.During the high season, nearly 100 kilos of coffee are consumed each month. The secret special blend is specific to the cafe, honed by Mario’s pallet. You’ll find the dark roasted coffee to be sweet in nature, with heavy chocolate tasting notes. It pairs perfectly with the local art and eclectic music. With impeccably impromptu timing, I was able to sit down for coffee and breakfast with owner Frederic Sampoux. I wanted to ask about his own take on running a cafe in Puerto Vallarta in between bites eggs and sips of coffee. You see, in 2013, Fred and his wife, Michelle, bought it from the original owner. They had been patrons of the existing cafe for years, having moved to Puerto Vallarta over 14 years ago. During the low season, Fred was driving by and saw a sign indicating the business was for sale. Fred and Michelle set a goal of being open by Christmas. The process of transferring ownership dragged on through the months of October and November. Finally, the cafe was there, with only 25 days to go. An entire remodel was completed in a mere 20 days. The doors opened to a rainy day on December 21st before the paint had finished drying. Despite the stress of rushing an opening, The Coffee Cup is has been home to many of the same loyal customers year after year. Fred and Michelle take great pride in the cafe’s cleanliness and customers service. They strive to do their very best and are continually open to customer feedback. Alongside their menu offerings, they are familiar with modifications to make items vegan. Where The Coffee Shop stands apart from everyone else is in the roasting style. The coffee itself is sourced from Oaxaca and Chiapas. Two roasts are generally available as either medium or light bodied. Differing from the standard dark French roasts in other shops, the smooth lightly acidic tones were a nice reprieve. While I wasn’t able to connect with the owners or management, I found this cafe to be incredibly fun. The walls are lined with countless used books for reading or for sale. With organically grown coffee from the Sierra Madre Mountains, A Page in the Sun offers the perfect environment to peacefully catch up on your reading. From pastries to sandwiches, you could easily stay all day and voraciously finish off several books. 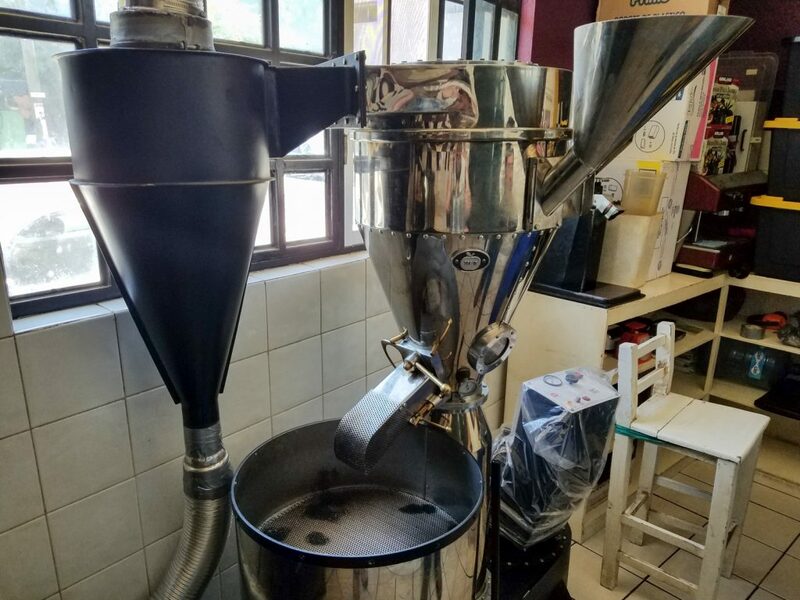 This is a wonderful source for information on Puerto Vallarta coffee shops! There are so many fabulous establishments throughout the whole area, and you just highlighted some of the best. I hope you come back and visit the area again soon. The weather is absolutely gorgeous right now. Your cup of coffee is waiting! I adore Puerto Vallarta but I have not thoroughly explored the coffee shops. That sounds quite interesting to do. I had no idea that Mexico produced so much coffee! I haven’t been there in a few years, but am definitely wanting to plan another trip after reading this post. I was just in PR, but didn’t visit any coffee shops. Now I wish I would have! 100% my favorite thing I’ve read of yours. I teared up reading about Marcos, I want to go hug him. I felt like you were talking about my grandpa. Fun fact: my dad grew up in Jalisco, he moved back to the states when he turned 18. And a page in the sun sounds like my cup of tea….coffee. Thank you oh so very much. What an incredible thrilling comment to read. Thank you.